With this accessory you can build the second level of a whole castle. The Castle System series allow you to build a castle from the upper level to the ground floor. Moreover, in this and future products (see below), you get many ?alternative? 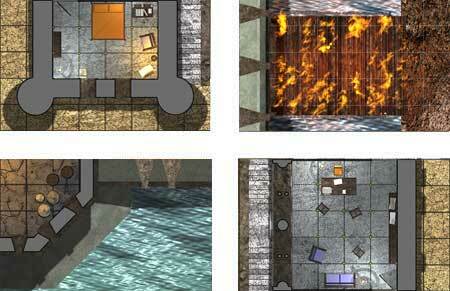 tiles you can use to further customize your castle (a tower destroyed, a drawbridge on fire and so on). On the game table you can mix the various level of the castle allowing your miniatures to go ?up? and ?down? simply by substituting a tile with the matching tile on the other level. You can use the castle even for your RPGs, if you desire it could be the keep infested by goblins or the stronghold of a king, your imagination is the limit. This product contains 25 gorgeous tiles.